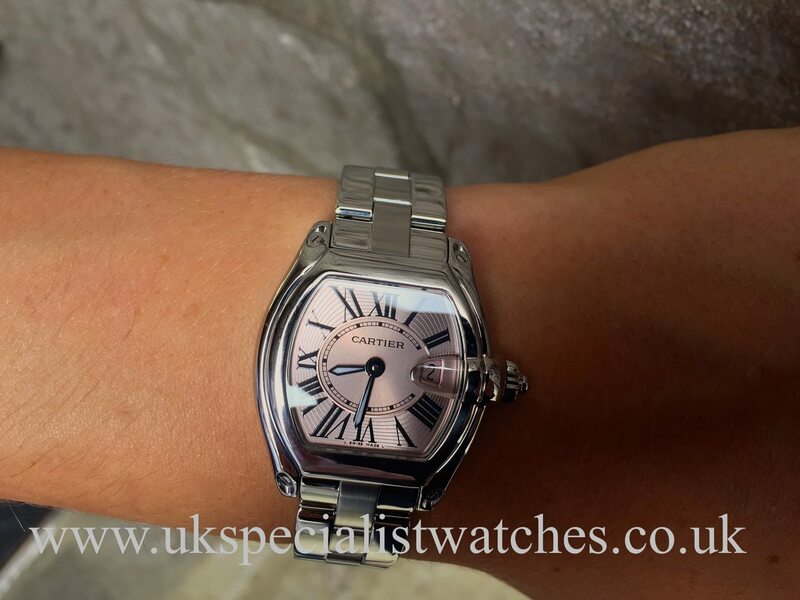 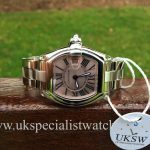 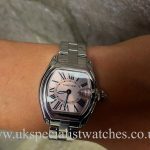 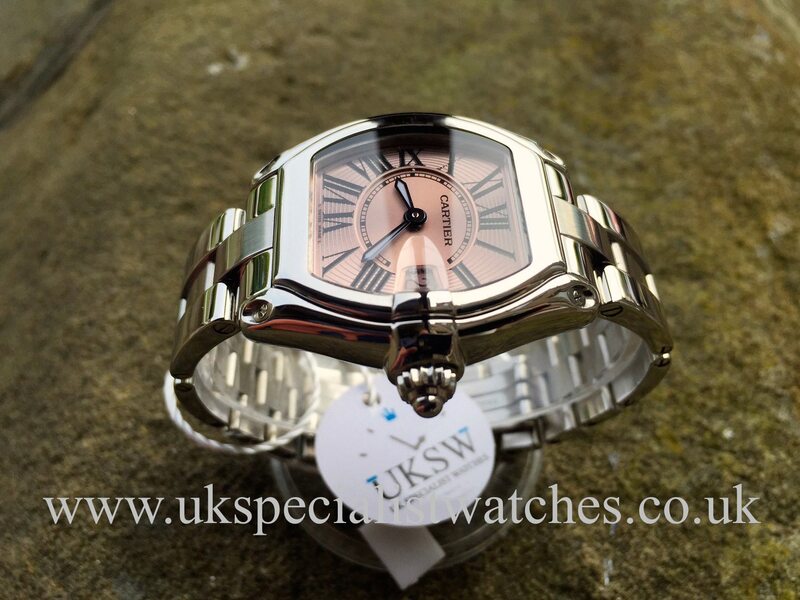 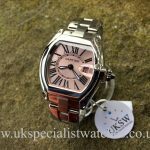 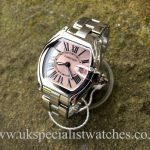 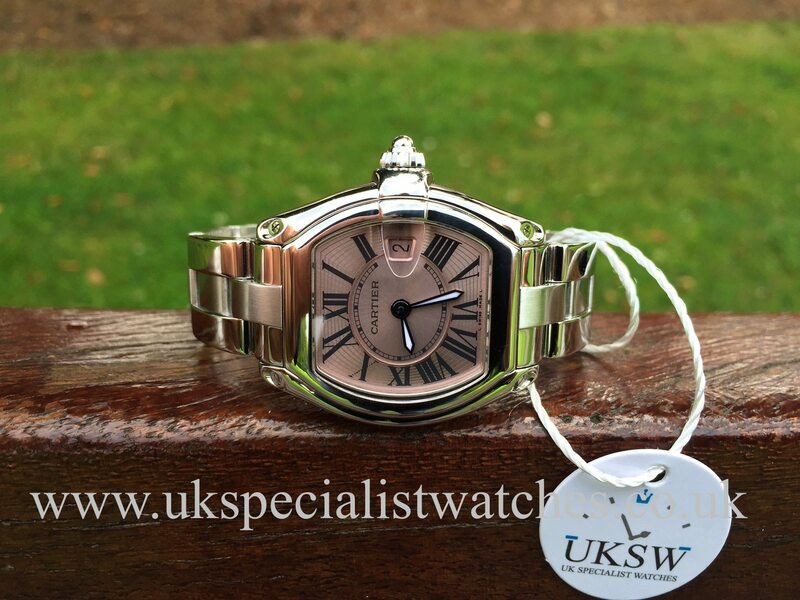 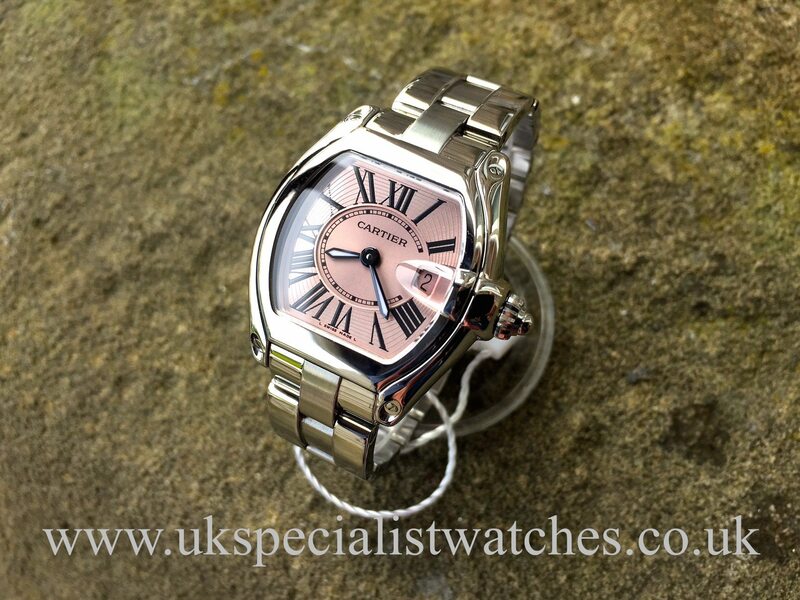 Ladies Cartier Roadster with a highly polished 36mm X 32.8 tonneau shaped case, pink dial, luminous hands and Black roman hour markers, date displayed at 3 o’clock magnified with a Cyclops lens. 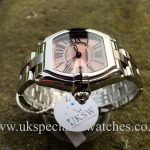 Polished Cartier cabochon crown. 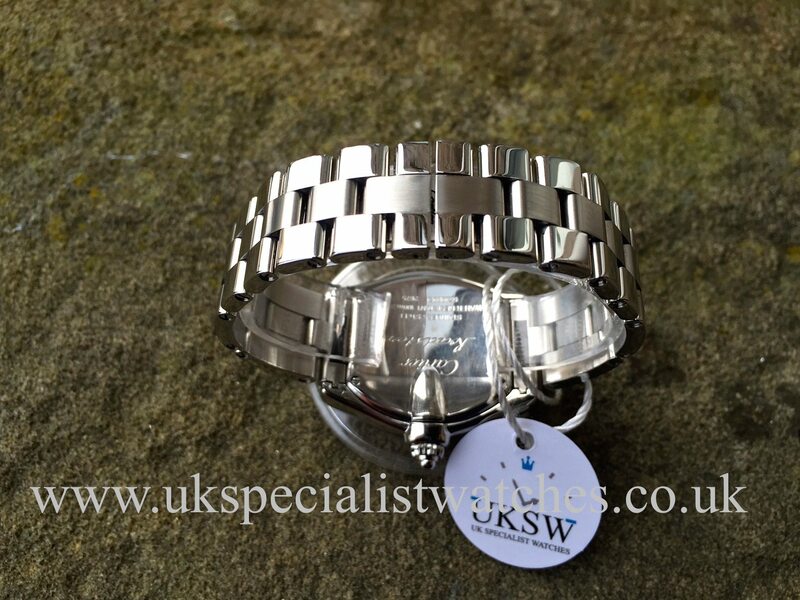 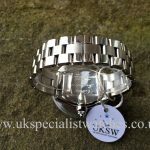 Fitted with a triple link interchangeable stainless steel brushed & polished bracelet. 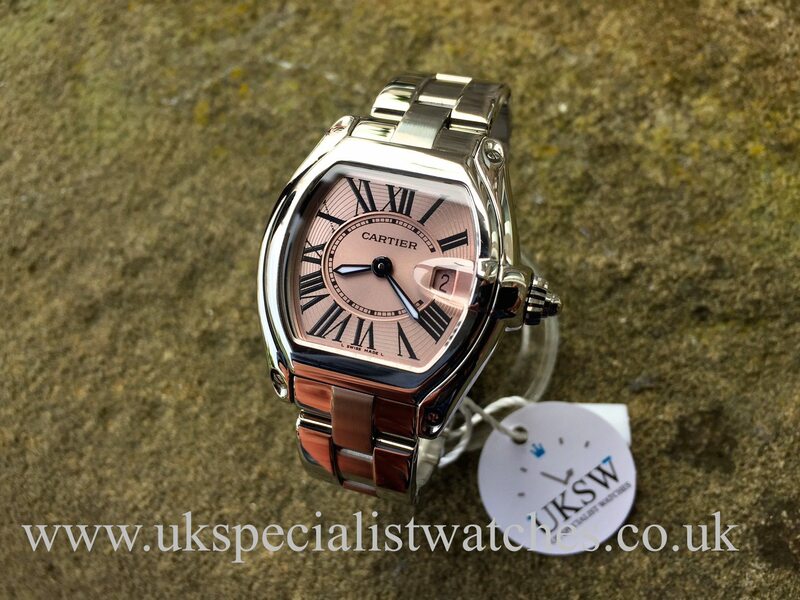 Also comes with a burgundy silk strap and separate double folding clasp and Cartier’s quick release bracelet system. 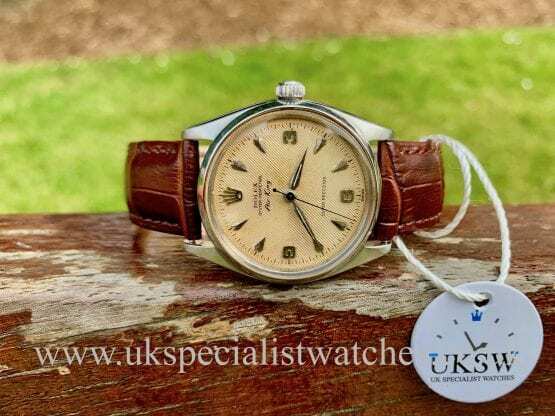 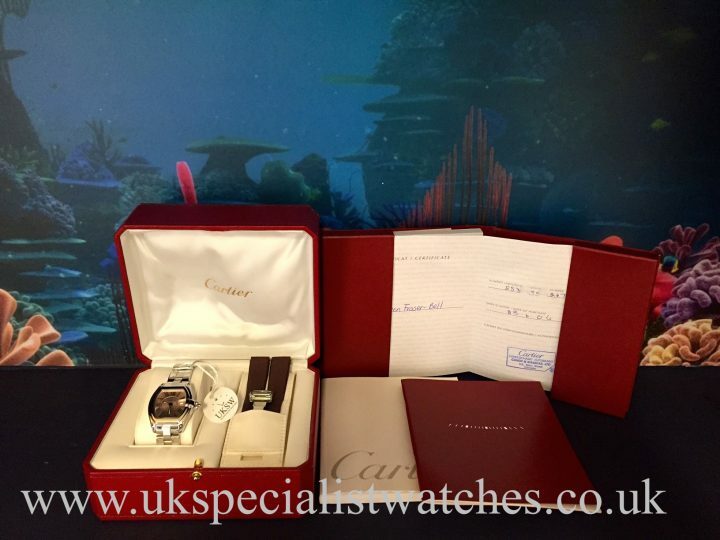 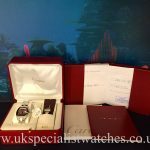 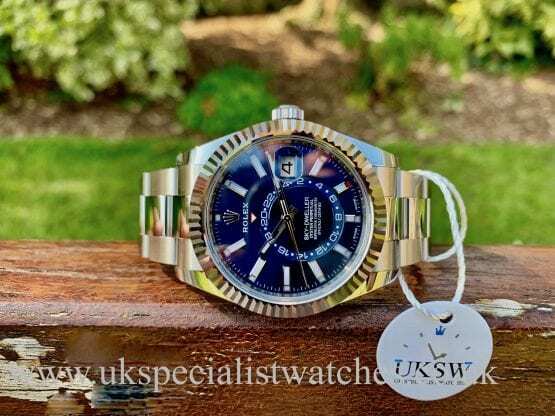 Supplied new in June 2004 and comes complete with original box and papers booklets ect.